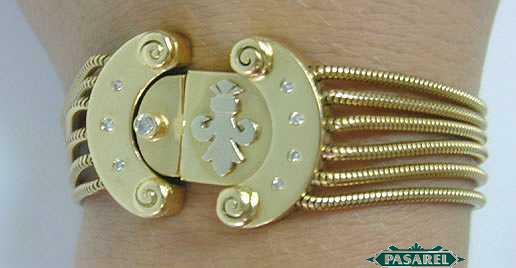 The bracelet consists of six snake chains, making it very comfortable to wear. 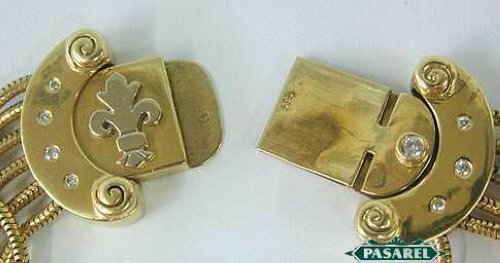 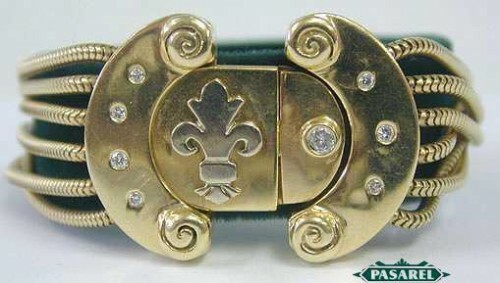 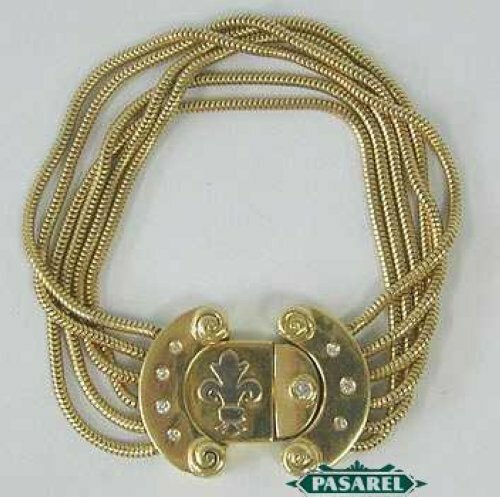 The clasp is hand made and uniquely shaped, made of two parts – each designed as a half crescent moon, with a marvelous white gold fleur-de-lis soldered between them. The clasp is set with 0.2ct Diamonds (Si-H). 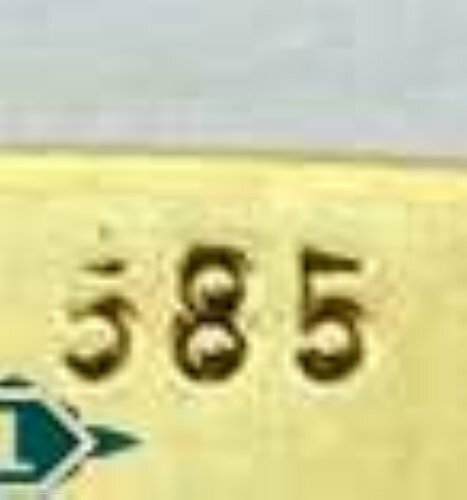 Signed Billy (In Hebrew), 585 for 14k.